Is there a way to subscribe to your site? Every single article I have read here has been fantastic and I would like to receive notifications when new posts are made. Could you please address how to fully “undo” [lxd init] and remove everything that has been done with lxc, in order to start over from scratch with a new [lxd init]? 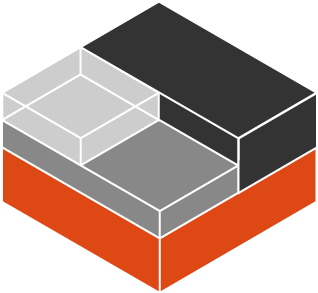 Removing the lxd and lxc packages does not do it. I am getting worn out from completely reinstalling ubuntu on my test system. One thing that definitely doesn’t work is [zfs destroy]ing the ZFS pool that lxd is using. Very bad news as it wedges lxd really bad. Wipe /var/lib/lxd clean and restart the daemon, that should do it. Thank you for great articles! Anyway following “CONTAINER” should be “PROFILE”? I have one question though: how do you limit the /dev/shm size on a container? Though I wouldn’t recommend this for a privileged container. By the looks of it, the problem is that apparmor cannot tell the filesystem type at the time of the remount so doesn’t know if it’s safe to proceed (as it would for a tmpfs) vs unsafe (as it would for proc). Or figure out how your init system mounts it and have it be mounted with the right size directly from the start. Shouldn’t the size of tmpfs be managed by LXD to avoid it from being bigger than the total amount of RAM given to the container? (at least at container start if the limit exists then). Currently this means that any user can crash a container if /dev/shm is bigger than the memory limit by just filling it. Should I open an issue on github for this? Well, there is no kernel API allowing LXD to limit the default size of a tmpfs mount so there’s unfortunately not much LXD or LXC can do about this. At least the kernel doesn’t let you run over the memory quota as it once did but yeah, the resulting behavior isn’t amazing. Okay, thank you for your answers, I will take a look at systemd. Maybe also a correct work around should be to simply drastically reduce the default tmpfs on the host since the containers take the same size. I usually don’t use tmpfs at all on a virtual/container host anyway. Would it be possible to use by setting raw.apparmor to alter apparmor for the profile? So anything which works with raw.apparmor for the container, you can put in a profile just fine. The difficulty sometimes with apparmor is that you cannot reverse a rule which already exists. So if the denial is caused because nothing allowed the action in the profile, then you can add a rule and you’re good. But if it’s denied as the result of a direct “deny XYZ” rule, then there’s nothing you can do to allow it. First of all thanks for such a brilliant series. It would be great if you add command to set rootfs size for LVM backend. We actually recently introduced a configuration option to set the default LVM LV size, it’s “storage.lvm_volume_size”. This only applies to newly created LVs and not to snapshots of existing LVs, so will only apply to new containers created from new images. Obviously we’d like for resizing of LVM backed containers to work in the same way as for ZFS and btrfs, but ext4 and xfs (which are used on LVM) simply don’t offer very reliable online filesystem resizing. At best they support growing it but never shrinking it. How can we implement QoS on CPU/MEM and DISK/NETWORK IO among lxd containers ? The kernel out of memory killer will pick random processes in your container and kill them if you exceed your memory allocation, same as happens on a real machine. It seems all subsequent images I create are all added to the d1web1 container which was the first container I created at only 50GB. The subsequent “mail” container of 100G was created but image was created in the d1web1 container and I can not move it (same goes for d1web3). In experimenting with building an image for developing and testing against I needed a container with another “disk” (or a few disks) attached to it. Previously I’ve done this inside of VMs, but containers are just so much faster and convenient, so I wanted to create the same/similar in a container. What I used to “fake” these block devices in a VM was to create a loop device using `losetup` and then create a few LVM volumes on top of that. When trying the same trick inside a LXD container, using `losetup` it “cannot find an unused loop device”. That makes sense to me, but my question is: Is there a way I can add a loop device to the container to use? Is there any way to set a network I/O limit on a per-container basis? In the example above you set the limit through the default profile. Hi, raw.lxc is useful for unsupported cgroups. But how can I use multiple raw.lxc config? Hi, are there any statistics on disk io in lxc info coming from cgroups ? Not right now. You can file an issue at https://github.com/lxc/lxd/issues with a suggestion of what kind of statistics would be useful to report from the blkio cgroup. I just had a very quick look and didn’t find anything that looks immediately useful to a normal user (no generic bytes counter or peak access speed or the like). As those commands have the exact same syntax, how would I pin container A to CPU 0 and container B to CPU 1? How would that behave? Would it allocate no CPU to containerA OR would it lock containerA into CPU 0? So use the range syntax which has LXD do direct pinning, using a range of a single CPU. LXC fails to achieve resource control, a container given 30% share of disk bandwidth consumes 70% share what could be the reason ? The I/O limits are definitely the weirdest ones as far as kernel limits are concerns. LXD has logic to resolve what block device a particular container disk device is using and then sets the applicable blkio limit for that device in the kernel. – Filesystems that don’t use the normal kernel paths may not see the limit fully applied (ZFS is one of those). – Cached read/writes aren’t restricted (which is usually a reasonable behavior). – Filesystems spanning multiple block devices (btrfs, zfs) will have the limit applied on each of the backing devices, which typically means an higher (if raid1 with two devices, twice the amount) possible throughput, in the ideal case where the reads/writes are perfectly spread across devices. – If multiple “disk” devices are passed to the container from the same backing block device, then LXD will average the limits together as there is no way to do a per-path or per-mount limit. Should someone ever implement proper VFS bandwidth limits in the kernel, we’ll be sure to switch to that as that’s ultimately what we want for containers, but so far the only object we can interact with is a whole block device, and I mean whole block device, we can’t even apply per-partition I/O limits through cgroups. first of all thank you for your terrific work with LXD and the documentation. Unfortunately I have an issue. My df -h is the same as before activating quota (btrtfs quota are ON), but the quota is working because in your example if I write more than 20GB of data it stops me saying “disk quota exceeded. Why this is not shown in df -h? Can i Snapshot a container with its allocated resources(cpu/ram/disk) and then launch another container with the exact same resource from the snapshot? or do we have any other way to achieve this ? Just popping this here because it tripped me up! limits the container to (any) 2 CPUs. Here is where I’m not clear. You are saying that if the value is a single digit, it means the total number of vcpus to schedule, not the specific core # to pin to, is that correct? Correct. If you want to pin to core 2, you can use the 2-2 syntax (a bit odd but will work fine). thx for your comprehensive work! How can i disable suspend-to-ram when i ´m logged in a lxd container ? My Server/LXD Host works fine when i´m “logged in” -> no suspend to ram. When I´m logged out -> system suspend to ram after 5 minutes, also fine. I actually end up with 7 CPU’s assigned to the host not just CPU7. Great article. Small correction to “Linux doesn’t have path-based quotas”. If you use XFS filesystem, you can enable project quotas, which essentially lets you set quotas for individual directories. Pingback: How to use LXD instance types – Mi blog lah! – I have 300 GB RAM on my LXD host and I want only 280 GB RAM to be used by LXD, given I have around 40 containers running each with limit of 8 GB each, technically I’ve kinda over provisioned it. – What I would call ideal scenario is that all together my 40 containers can get memory allocated from 280 GB only and 20 GB will be reserved for my host machine.